This past Easter I made this adorable cheese and “carrot” appetizer plate to bring to my parents house to snack on before dinner. 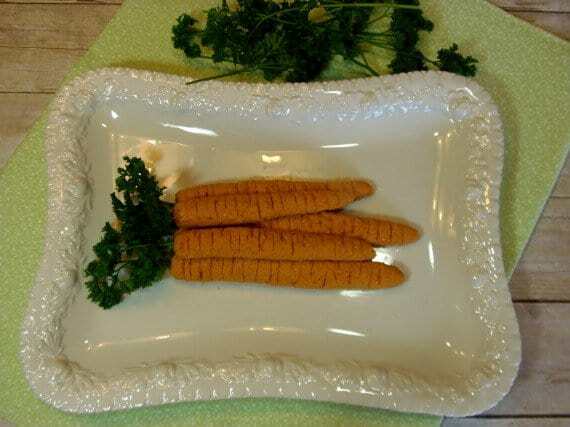 I don’t quite remember how I found out about these adorable carrots, but I do remember that the originator and creative mind behind this recipe is Amy of She Wears Many Hats, but I adapted it ever so slightly. 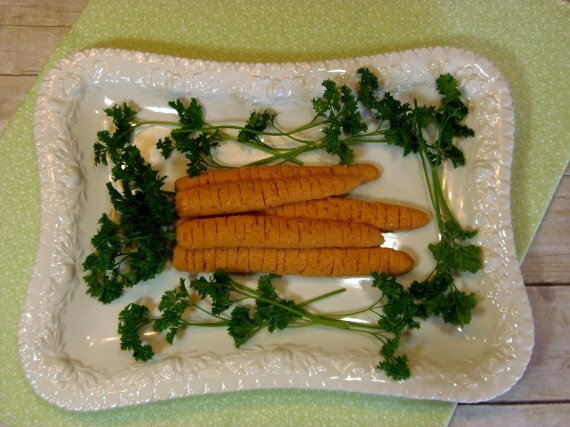 Amy has a lot of really cute pictures of her carrot appetizer on her blog, surrounded by crackers and looking all cute. 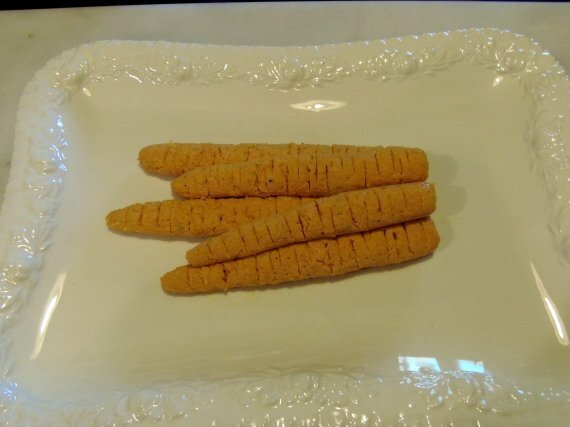 My crackers were already packed in the car (so I wouldn’t forget to bring them) so unfortunately my bunch of carrots look a little naked sitting all alone on their big white plate. I’m afraid you’ll just have to use your imagination and pretend they’re surrounded by some yummy, crispy crackers. Still though, I think you’ll get the idea of how cute an appetizer this was and what a fun and conversational Easter snack it turned out to be. Trust me when I tell you that every bunny was pleased and very hoppy to snack on these before dinner. 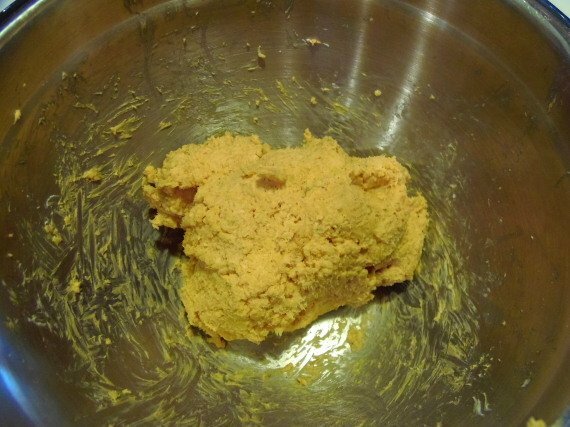 -Combine all ingredients in a medium size bowl and, using your impeccably clean hands, mix well to combine all the ingredients until you have a uniform orange color. -Divide the cheese into 5 or 6 portions and shape each portion into a longish carrot shape making sure to taper one side down into a point. 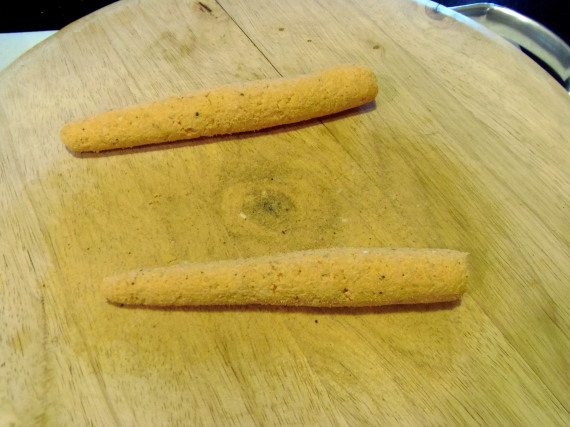 -Using the back of a knife (or something similar), make the lines on each carrot. 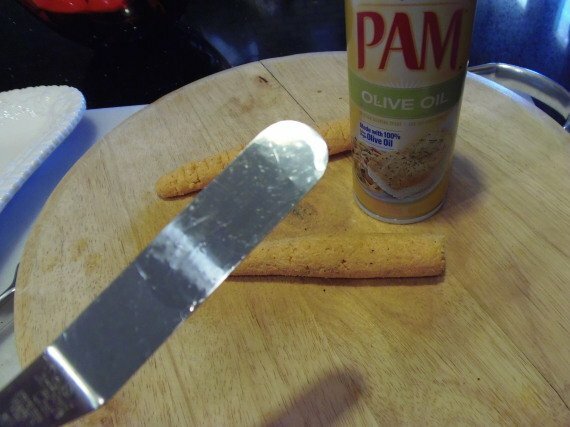 *Note – I used cooking spray (oil) on the blade to keep the knife from sticking too much to the cheese. This was very helpful. 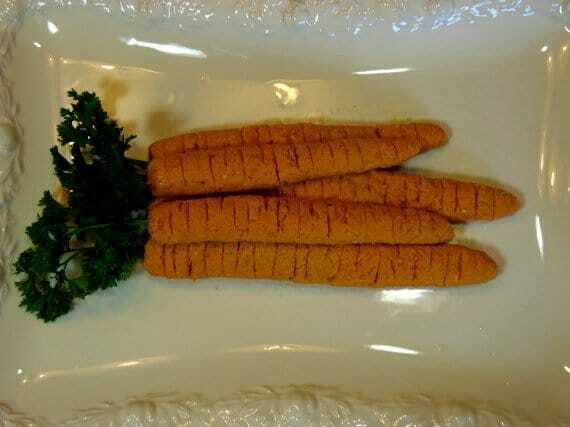 -Arrange the carrots on a platter. -Trim the parsley (so the stems are relatively short) and gently push the parsley (stem end first) into the thicker end of each carrot. 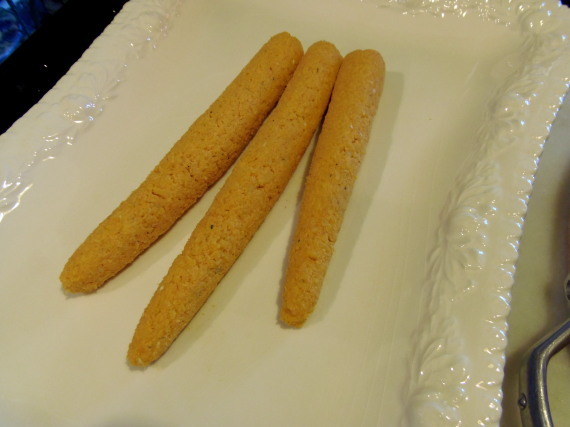 -Allow to warm slightly before serving and serve with crackers or assorted veggies. These would be super cute at a garden party too so don’t just think Easter. Break out this cheesy carrot appetizer all through the summer BBQ season! Even those who don’t particularly like veggies will be digging into these babies! What’s up with that, Doc?